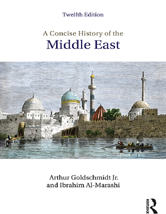 A Concise History of the Middle East provides a comprehensive introduction to the history of this turbulent region. Spanning from pre-Islam to the present day, it explores the evolution of Islamic institutions and culture, the influence of the West, modernization efforts in the Middle East, the struggle of various peoples for political independence, the Arab-Israel conflict, the reassertion of Islamic values and power, the issues surrounding the Palestinian Question, and the Middle East post-9/11 and post-Arab uprisings. Pillars of Faith: What Do Muslims Believe? Pillars of Practice: What Must Muslims Do?